Comecei pela Tundra Boreana, mas lá é difícil de achar, tem bastante no Ermo das Serpes. Be very careful what you sell your stacks of Minério de Cobalto for prior to MoP's launch (which is now slated for Sept.25, 2012)!. In other words, for the next 2 months, unless you are getting an exuberant amount for your stacks, don't sell them. -Mined from Depósito de Cobalto which is found in Zul'Drak (207), Howling Fjord (167), Borean Tundra (155), Dragonblight (134), Grizzly Hills (110), Utgarde Keep (16), The Storm Peaks (11), and Crystalsong Forest (8). 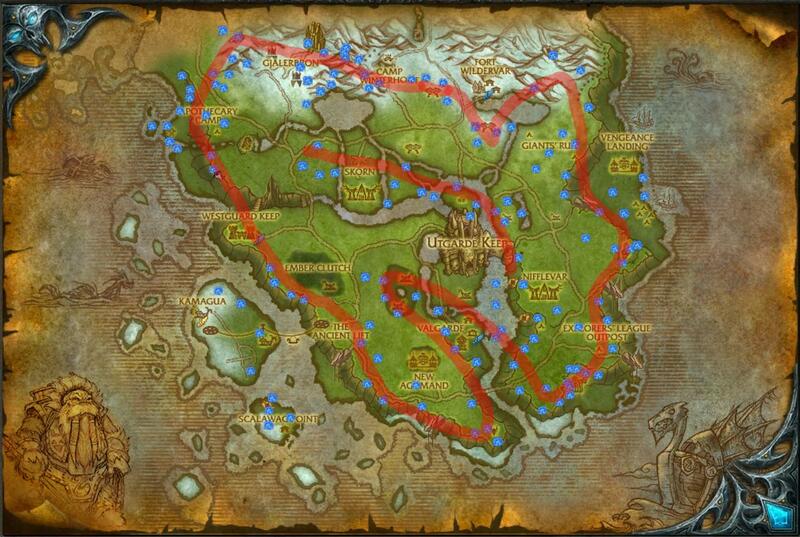 -Mined from Depósito de Cobalto Abundante which is found in Zul'Drak (167), Howling Fjord (147), Borean Tundra (133), Dragonblight (114), Grizzly Hills (89), The Storm Peaks (4), Utgarde Keep (3), and Crystalsong Forest (2). -Contained in Caixote Reforçado (33%) which is fished from Howling Fjord (75; 4%), Borean Tundra (53; 3%), Sholazar Basin (35; 3%), Crystalsong Forest (26; 4%), Dragonblight (12; 3%), and Grizzly Hills (8; 4%). Caixote Reforçado can also be fished from a few other locations at very low percentages. -Can be prospected for Citrino Grande (24%), Cristal Sombrio (24%), Pedra-sangrenta (23%), Calcedônia (23%), Jade-escuro (23%), Cristal do Sol (23%), Topázio Monarca (1.4%), Esmeralda-da-floresta (1.3%), Safira Celeste (1.3%), Luz-do-outono (1.2%), Rubi Escarlate (1.2%), and Opala-do-crepúsculo (1.2%). Minério de Cobalto is one of the highest priced ores on the Auction House. So, it is very good to sell for a profit. The current (12/20/14) market price for all US realms is 5g 81s per ore or 116g 20s per stack.